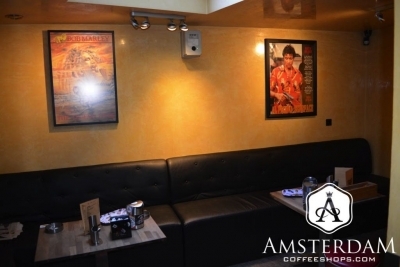 The Stud Coffeeshop sits near the eastern edge of Amsterdam-Oost (Amsterdam East) in the Indische Buurt neighborhood. This translates into “Indies Neighborhood”. You will notice many of the streets are named after islands and other parts of the former Dutch East Indies colonies. This shop is close to Flevopark, a large park with plenty of walking trails, tennis courts, and even an outdoor swimming pool. There is a seating area behind the counter here, which also serves as a smoking room. It is not very large, however, but comfortable and well appointed. They also have a television and a Volcano vaporizer. With vaporization becoming increasingly popular with cannabis connoisseurs, it is a good addition. They serve coffee, drinks, and some snacks here. There is enough here to keep you comfortable. More commonly though, The Stud Coffeeshop functions as a take-away establishment. A lot of people come in just to pick up some bits for the week. This is surely a testament to the cannabis quality here. 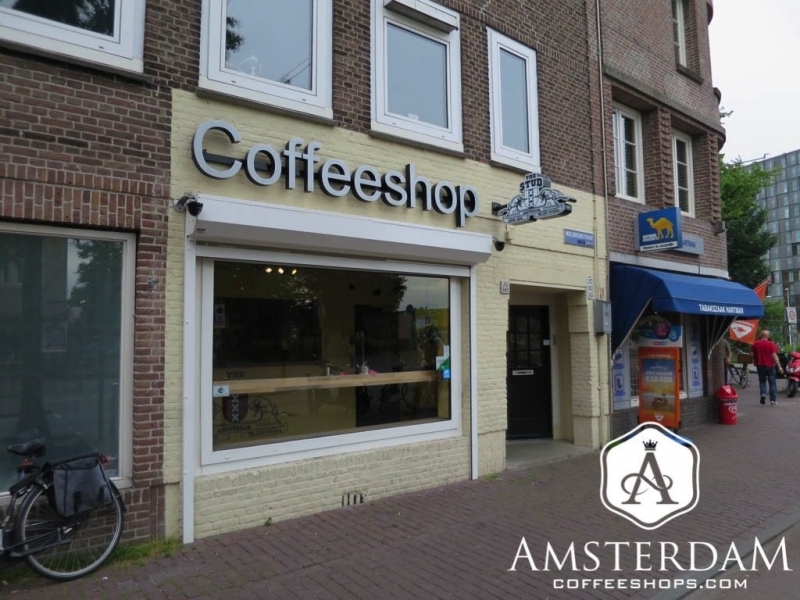 As you might expect being so far out of the city center, The Stud Coffeeshop caters mainly to Amsterdam locals. While they are welcoming to all, this is not an area of the city that is dense with tourists. The upside to this is that prices are much more competitive here than in Amsterdam Centrum. Expect a nice savings if you take a trip out here. Interesting for a smaller local shop, The Stud has invested in a full interactive digital menu with touch screen capability. Just touch a strain on the list, and a screen will open explaining its pedigree and unique properties. The system even has language options, ensuring that no communication barrier can prevent you from making the right purchase. The cannabis menu itself is fairly large, with more than a dozen weed options. These include many established local favorites, as well as some of the more contemporary strains in the city. They work with Amsterdam Genetics, so expect some quality genetics from the USA (think Kush, Diesel). There are nearly as many options on the hash-side of the menu; all traditional imported varieties. The quality here is highly noteworthy. They also serve space cakes and pre-rolled joints. Pricing is mainly based on common banknotes. So you will find bags of various weights selling for 5€, 10€, and 20€, which makes for fast and easy transactions. Been to Amsterdam 4 times but only discovered on the last two trips. " High" quality products but even higher quality owner and staff. Silvio is a class act and always has a special treat for me as I am 99% a hashish smoker. I can't tell you how friendly all of the locals have been to me when I visit. A MUST VISIT ! !